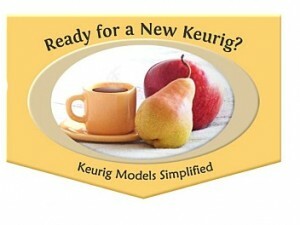 Are you considering a Keurig brewer for the first time, or to replace your current coffee machine? It helps to understand how Keurigs and their K-Cups (coffee pods) work in order to determine if a Keurig is the right personal coffee maker for you. Keurig’s patented K-Cup Brewing System is designed to create good tasting coffee quickly, easily and consistently with little mess, making these machines popular single cup coffee makers. All of the brewing happens within K-Cups, which are single-use prepackaged coffee filters filled with ground coffee. Place a K-Cup into a Keurig coffee maker, add water and you’ll soon have a serving of freshly brewed coffee. Upon insertion into the machine, a needle pierces the top of the K-Cup, allowing pressurized hot water to enter the cup and extract flavors much more quickly than a traditional drip brewer would. A second needle pierces the bottom of the cup, allowing the brewed coffee to exit into a serving mug. 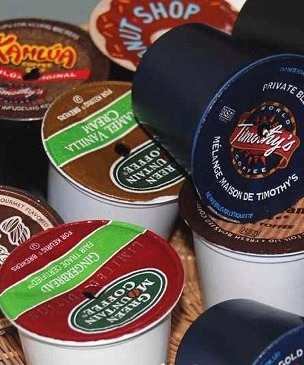 It’s important to use each K-Cup “as-is.” Don’t open it or remove any of the coverings, even the foil top. All parts of the brewer that come into contact with water, including the K-Cups, are BPA free and FDA approved as food-safe for the temperatures they encounter during the brewing process. K-Cups come in 250+ flavors of coffee and other beverages. 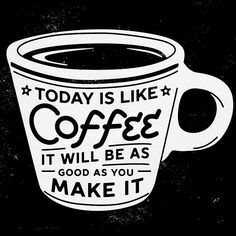 They’re available for light roast, dark roast, decaf, flavored coffees and blends from various well-known coffee brands. 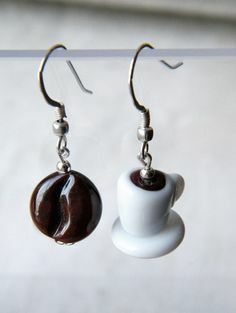 There are also espresso, latte and cappuccino cups available. Extra Bold K-Cups contain up to 30% more ground coffee, producing richer brewed coffee for those who like their coffee strong. They’re available in light, medium and dark roasts. Most consumer reviews of K-Cups are quite favorable, although you may need to sample a few before you find what suits your tastes. An economical way to do this is to begin with K-Cup Sampler Packs . K-Cups are designed for single-use, but some users report running them through the brew cycle a second time to produce a larger cup of coffee. 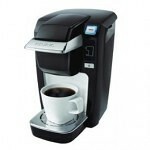 K-Cups come in one size and fit all Keurig K-Cup Brewing System machines. 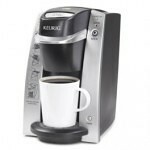 Keurig’s newer Vue (discontinued) and Rivo do not use K-Cups. The Rivo Cappuccino and Latte system has a limited number of espresso cups available, while the Vue has a wider selection of coffees and other beverages available in Vue Portion Packs . The Keurig 2.0, which brews single cups using K-Cups with machine-readable codes on the lids, can also brew up to 4 cups at a time using the new K-Carafe packs. The selection of K-Carafe packs is fairly limited at this time. K-Cups made before July 2014 and without the special lids don’t work in these machines. Check the flavors available for any of these machines before buying to ensure that you’re happy with the selection. Note: Some of the popular K-Cup brewing machines have been discontinued. 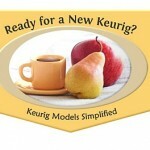 Read our Keurig Model Comparison Guide to learn more about discontinued machines and the new Keurig 2.0. Also, check out our review of the 2.0 brewers. The Keurig single cup coffee makers heat water, force it through a K-Cup, then release it into a cup or mug. If no K-Cup is present, they’ll produce a cup of hot water for making tea, dehydrated soup, instant oatmeal, hot chocolate mix, etc. In addition, K-cups are available from many tea manufacturers, as are hot chocolate, Chai tea, apple cider, flavored coffees, and health drinks. K-Cups are also available for making iced coffee and iced tea, which is made by dispensing the hot beverage into a cup of ice. Look for “Brew Over Ice” K-Cups for the best results. Fill a 16 oz. cup with ice and brew 8 ounces of hot coffee or tea into it. A 12 oz. cup would work with 6 ounces of hot beverage (fill half of the volume of the cup size with the hot beverage). Keep in mind that on some machines you can remove the drip tray to accommodate a taller cup, or dispense the coffee or tea into a smaller cup and pour the hot beverage into a large cup filled with ice. Do not use a glass cup, as it may crack or break. While K-Cups are more expensive than ground coffee, most users feel the convenience and variety are worth the extra cost. 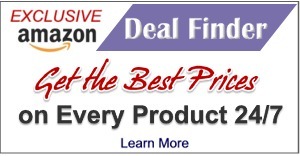 The cost can be reduced by purchasing in larger quantities (24+ per package) and by creating a monthly auto-ship subscription. Can You Use Ground Coffee in a Keurig Machine? Reusable filters that allow you to brew your favorite ground coffee are available for most of the home-use Keurig single cup coffee makers (usually not for the commercial machines). Some users prefer these to K-Cups for cost and taste reasons. The Keurig brand My K-Cup reusable filter is recommended, although Brew and Save , Ekobrew and other third party suppliers make reusable filters that work with most Keurig home brewers. Check carefully to ensure that the filter you’re considering will work with your Keurig single cup coffee maker. You may need to experiment to achieve the brew you want when using ground coffee. Some user reviews say that their usual store-bought ground coffee produces weak coffee in their Keurig machine, while others say their favorite ground coffee is too strong. Adjust the amount of coffee used, the grind, and the amount of water to suit your tastes. Some say to use twice the amount of ground coffee as you would in a drip maker. Others suggest that grinding your own beans improves the flavor over store-bought grinds. You may need to experiment to find the right coarseness. Coarsely grinding your own coffee beans rather than using finely pre-ground coffee for drip brewers can also eliminate silt in the bottom of the cup. Filtered or bottled water is recommended, especially if your coffee tastes of undesirable substances like chlorine or sulfur (some Keurig machines include an optional Water Filter Kit that removes disagreeable flavors from the water). Distilled or reverse osmosis water is not recommended. Tap water can be used, but the manufacturer recommends not using softened water or overly hard water. Regardless of what type of water you use, keep in mind that mineral deposits can build up inside the machine – especially if you’re using hard water high in calcium and other minerals. This build-up can affect the brewer’s performance, which sometimes results in unhappy consumer reviews. Fortunately, a simple descaling process helps to maintain the heating element and other internal parts of your coffee maker. The manufacturer recommends descaling every 3 – 6 months with Keurig Descaling Solution or plain white vinegar. Your water will dictate how often you need to descale, which may be more or less often than recommended. Instructions are provided with your Keurig single cup coffee maker. Remove and discard the K-Cup immediately after brewing. Wipe up any spills right away. Wipe down the machine with a soft cloth when brewing is finished. Regularly inspect the K-Cup Assembly and clean as needed. Descale regularly, as mineral build-up from your water dictates. If coffee does not disperse fully from the brewer, clean the entrance and exit needles to remove coffee particles that are impeding water flow. Perform other tasks regularly as outlined in your user manual. It will let you know which of the internal parts are dishwasher safe for a more thorough cleaning. Keurig machines are UL listed for Commerical Use Only, Household Use Only, or in some cases for both. Be clear that the machine you’re considering is UL listed for the location where you want to use it. For example, a Household Use Only machine should not be used at the office, and a Commercial Use Only machine should not be used at home. If you choose to do either, the warranty will be voided and insurance coverage may be affected due to potential safety issues. Click here for more information. The 2014 Harris Poll EquiTrend Equity Study recognized Keurig single cup coffee system as “Brand of the Year” in the coffee maker cateogry. 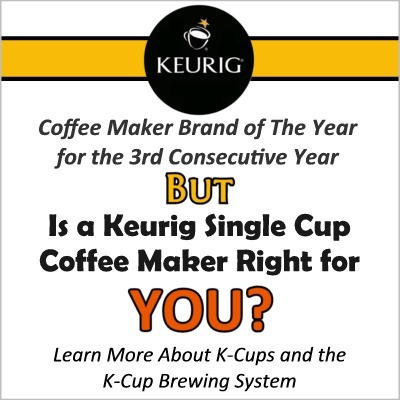 This is the third consecutive year that Keurig has been awarded this distinction. The opinions of 38,814 consumers resulted in the highest ranking for “emotional connection, functional attributes, brand awareness, influence and familiarity”, among other elements that were evaluated. Michelle Stacy, president of GMCR’s Keurig business unit stated: “What’s clear from the study is that the Keurig(R) single cup brewing system has generated extraordinary appeal among consumers. We know from our own consumer satisfaction research, once a consumer experiences a Keurig(R) brewer, they become passionate about its simplicity, convenience and quality of brew.” Learn more about this study. Check back often, as we’ll regularly add more reviews. Good choice, Marlene. Happy brewing!